The majority of the indoor events used the Crystal Palace National Sport Centre, named after the famous exhibition hall, but not with the same stylish appearance. 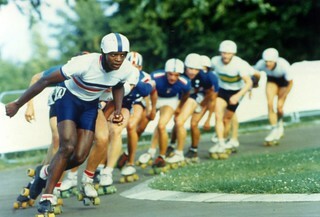 The main outdoor venue was the Copthall Stadium in North-West London. 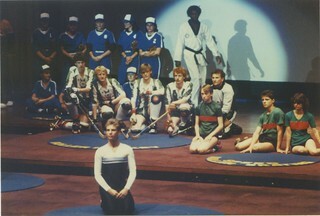 The West Nally Group had arranged for a television production company, Channel 4, and had also been able to distribute the summary programmes to various European and American countries. 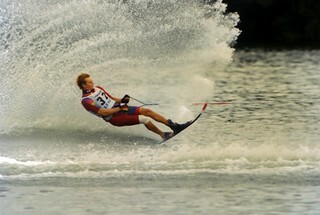 In London the World Games event was, however, lost in the huge metropolitan area of London. 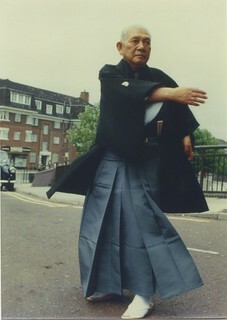 The residents of London were not aware of the event in their city. 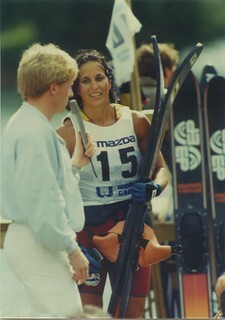 Apart from the fact that many of the outdoor events suffered from a lot of rain, the competitions were again of high quality. Notwithstanding the low media profile in London, participants valued the World Games medals very much, as the medals were won in real top-class competitions. Supporters and fans of various sports had travelled to London to watch the event and at home the awareness of the World Games London was somewhat higher than in Santa Clara, as there had been a good television production, which had been broadcast in several countries. 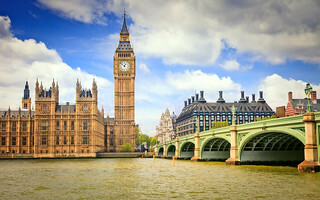 London is the capital city of the United Kingdom and is the most populous region and metropolitan area in the United Kingdom. Located on the River Thames, London has been a major settlement for two millennia, its history going back to its founding by the Romans, who named it Londinium. In 1985, London had a population of 6,500,000 which since than has expanded to 8,500,000 making it the most populous municipality in Europe, while the Greater London Area puts the population of London metropolitan region at 18 million. London's largest industry is finance. London is one of the pre-eminent financial centres of the world. Over half of the top companies in the United Kingdom and more than 20 percent of Europe's largest companies have their headquarters in central London. Along with professional services, media companies are concentrated in London and the media distribution industry is London's second most competitive sector. The BBC is a significant employer, while other broadcasters also have headquarters around the City. A growing number of technology companies are based in London, particularly in East London, the Tech City, also known as Silicon Roundabout, but in no way equal to Silicon Valley around Santa Clara. At the time of the World Games in London, the city had been host of two Summer Olympic Games in 1908 and 1948 and in 2012 London hosted the 30th Summer Olympics, making London the first city to stage the Olympic Games three times. The West Nally Group, as a marketing firm, was well aware of the importance of a consistent appearance in advertisements and publications. 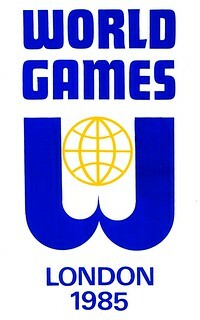 They developed the event logo for World Games 1985 based on the World Games logo. In so doing, they slightly modified the World Games logo; the globe was now in yellow and the two parts of the double-U joined into one graphic element. 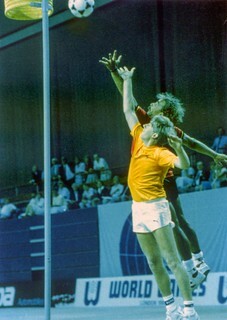 The poster of World Games 1985 is simply a picture of the medal for the event. 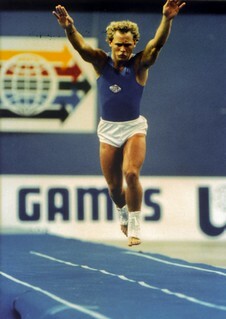 The centre of the medal is very much identical to the medal of World Games 1981. However the pictograms of the sports are no longer on the medal; they are replaced by slogans selected by Ryoichi Sasakawa, President of the Japan Shipbuilding Industry Foundation. 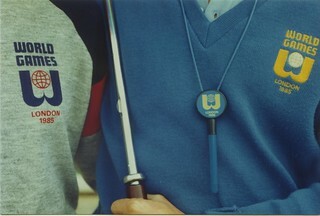 Mr. Sasakawa was a Japanese business tycoon of an enormous wealth, who sponsored the World Games 1985. 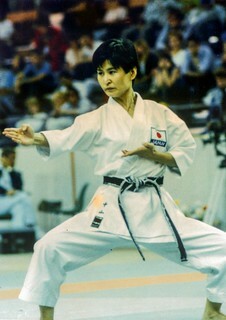 Six years later, in 1991 he established the Sasakawa Sports Foundation with the purpose of promoting sport for everyone. In the bottom part of the poster all sports venues used for the event in London are mentioned with an indication of the dates and the sports that would be using the facility. As said before, the WestNally Group understood the importance of consistency in publicity. The program book of the London Games used the same design as the poster. 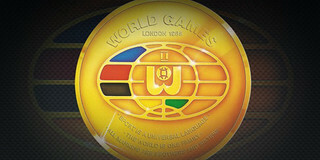 The World Games logo also appears on the cover page.